Resources Page - Links to useful mental health websites and resources. Vancouver counselling help for men. EMDR counsellor for depression, anxiety, addictions, low self-esteem. Due to an inherent propensity for men to keep emotions under wraps, men struggling with anxiety often suffer in silence and may isolate, becoming less communicative. The challenges facing men are distinct and the health repercussions of anxiety are severe. 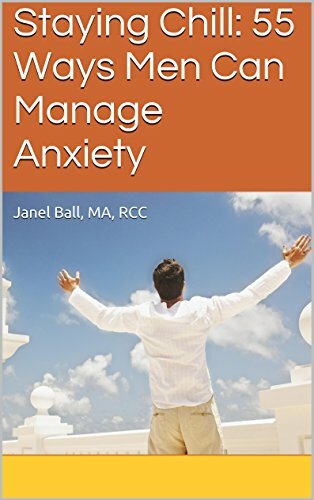 An estimated 40 million adults in the United States experience anxiety which makes it a prevalent medical condition that should not be underestimated. If you are noticing on-going problems, it is time to take action. To deal with on-going anxiety, there are several strategies and effective tools a man can learn that can complement the “man cave”. You will notice a marked improvement in your health and well-being. Banyen Books: Excellent bookstore based in Vancouver, BC. BC Association of Clinical Counsellors – official website of the BCACC where you will find a wealth of counselling resources used by members and the general public.